MDprospects is pleased to announce its planned 2016 integration process with iMedicWare, marking the start of a partnership that will benefit ophthalmology practices. MDprospects, a lead management software built for ophthalmologists, and iMedicWare, a provider of electronic medical records (EMR) software made specifically for ophthalmology practices, along with Glacial Multimedia, an Internet marketing, website development and software firm focused on the field of ophthalmology, are coming together to provide customers greater time savings, increased security, more focused technical planning, and more. 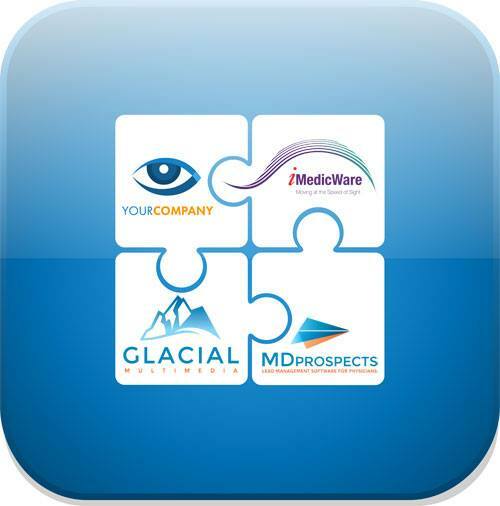 "We chose to work with iMedicWare because we believe that their vision of where online patient care is headed is perfectly aligned with ours," says Onur Birsen of Glacial Multimedia and founder of MDprospects, the flagship lead management software that was originally created by Glacial, referring to iMedicWare’s cloud-based solutions for simplified patient management. It isn’t just because both systems were created specifically for ophthalmology practices that MDprospects and iMedicWare complement each other so well. While MDprospects is a pre-patient, lead management system, iMedicWare manages a practice’s patients, so what happens in one system will be updated in the other, vastly decreasing frustrating redundancies and saving more time. “The integration is impressive and will enable our mutual ophthalmic customers to capitalize on the growth of their business through MDprospects while increasing the efficiency of their patient onboarding process in iMedicWare,” said Arun Kapur, President & CEO of iMedicWare.